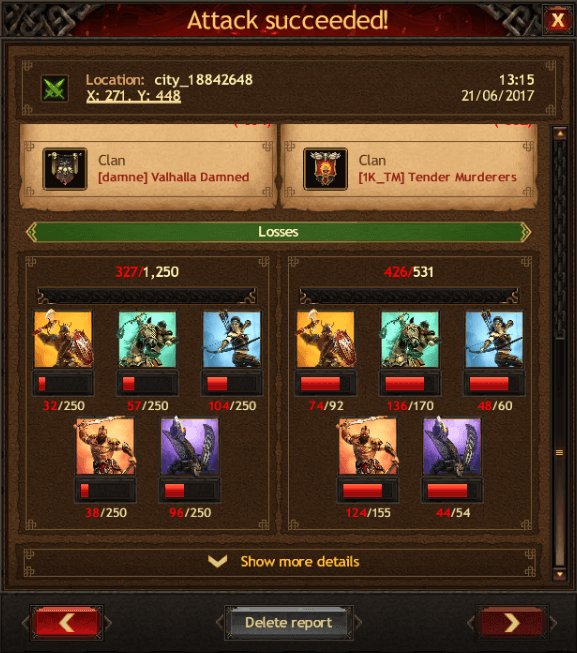 In the latest of a series of Clans vs Clan battles, the heroes of Valhalla Damned have been pitted against a foe that is testing their will, their courage and all of the strength that they can muster. 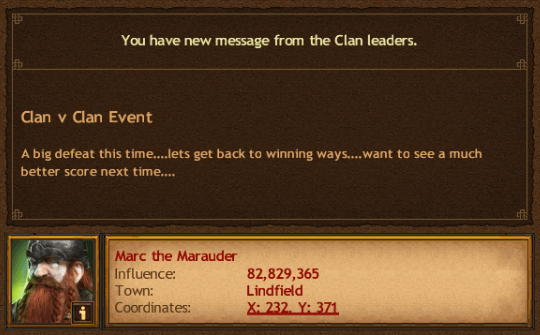 After suffering a horrible defeat in their last Clan vs Clan battle, and after watching their Kingdom fail in its latest contest of arms vs their neighboring, rival Kingdom, they are thirsty for a victory, no matter the cost. 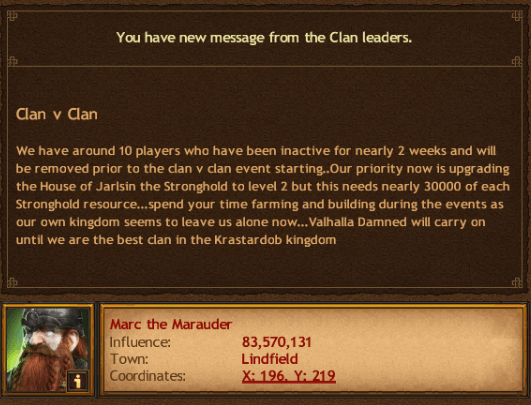 Preparations began before the event started by removing the "dead weight" from the clan, eliminating any easy targets that their enemies could score points on, a wise and prudent move considering the fact that these fallen towns add nothing of value to the clan, other than an artificial boost to their roster numbers. 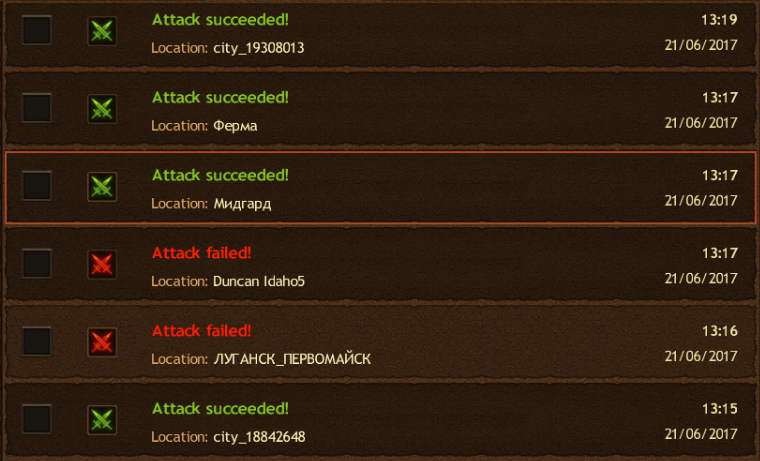 The lands of Krastardob are maturing greatly, and attacks are almost all but ceasing within the realm. The Valhalla Damned, and others that call this great kingdom home, have been able to focus on the ever-present threat of invaders and those that they are directly pitted against in their latest challenge. This is exactly what is unfolding as we speak. 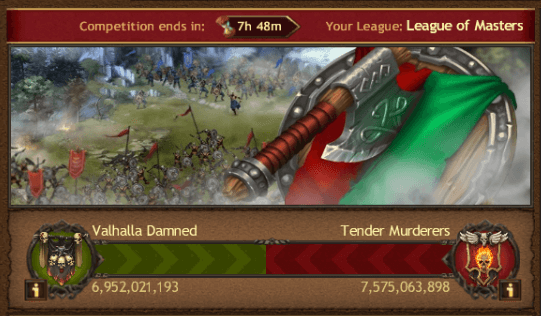 The Valhalla Damned has been matched against the Tender Murderers in their latest and possibly one of their greatest Clan vs Clan events to date. 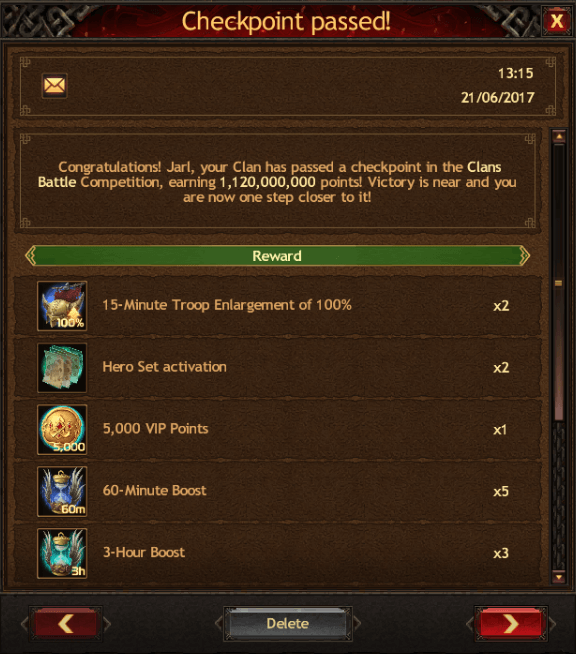 As can be seen from the latest report shown above, these two clans are closely matched and locked in a deadly struggle of will, with neither side gaining a large advantage in any meaningful way over the other. Infiltrating the Tender Murderers’ home Kingdom, Hebylange, a strike force from the Valhalla Damned marched out and attacked their enemies base of operations, their hive. Many attacks succeeded, while others were repelled by the defenders of the Tender Murderers, proving that this was no one-sided battle, as the scoreboard bears out. Launching their own series of attacks, the Tender Murderers invaded the homelands of Krastardob and retaliated in kind, attacking any unshielded members of the Valhalla Damned in their path. Both sides in the process unlocked a series of increasingly greater rewards through their war efforts.